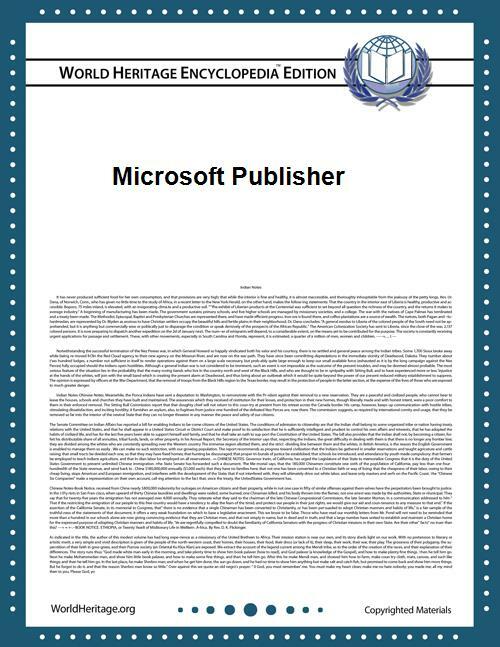 Publisher's proprietary file format (.pub) is supported in LibreOffice since February 2013. Corel Draw X4 features "read only" support. Adobe's PageMaker software saves files with a .pub extension but the two files are incompatible and unrelated. Publisher supports numerous other file formats, including the Enhanced Metafile (EMF) format which is supported on Windows platforms. 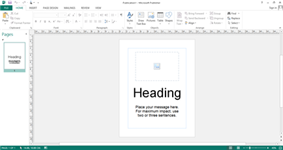 The Microsoft Publisher trial version can be used to view .pub files beyond the trial period. ^ a b "Desktop Publishing Software 2007 Style". Computor edge. 2007-07-27. Retrieved 2012-02-13. ^ "Office Publisher 07". .
^ "Where is the Publisher viewer?". Microsoft. Retrieved November 7, 2010. ^ "Publisher Life-cycle". Microsoft. Retrieved 2011-10-23.